As a form of commitment to support the optimal growth of children, Nestlé Lactogrow comes back with its new program, 'Grow Happy' which aims to celebrate happiness and help parents create an environment that can make children feel happy. 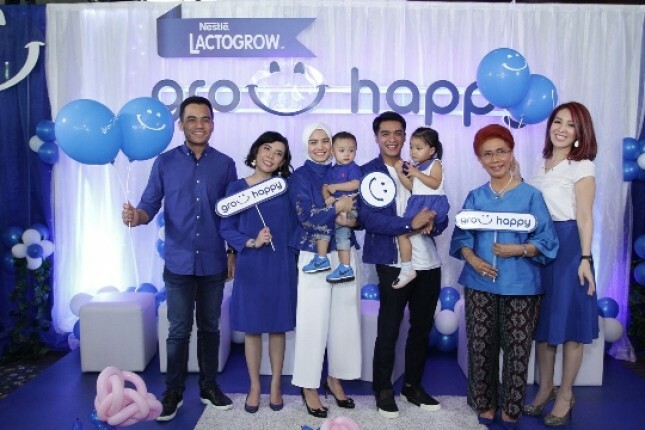 Nestlé Lactogrow Brand Manager Gusti Kattani Maulani said how this latest program has been preceded by a survey to find out what factors can make a child, father and mother feel happy. "We involve a team of psychologists and some parents in Jakarta to find out things that can make a child, father and mothers feel happy. The information we got from this preliminary survey is expected to inspire mothers and fathers to continue to look for ways that can always improve family happiness," said Gusti Kattani Maulani. Meanwhile, Psychologist Elizabeth Santosa, M. Psi., ACC describes the link between happy children, their social and emotional intelligence and impact as adults. Happy children have self-awareness, self-management, social awareness and social skills and better decision-making abilities. All of these traits can affect many aspects of the future as well as the success of education, career success, and other important achievements (Compliance with applicable law). "Child happiness is influenced by positive social interactions involving family members. Therefore, it is important for parents to spend time with children. By spending time together, parents will also get to know children and they better," said Elizabeth.